Meanwhile lets just say that we are proud epsu-cj contributed a whooping 168 entries. For officials of grades AST 1 to AST 8, AD 5 to AD 11, SC: Please find attached a calculator of the pro rata temporis mechanism applying to your promotions, in the Court of Justice only. This mechanism was invented and fine-tuned by EPSU-CJ, which guarantees its correct application. Health insurance : Understanding before taking action ! The field of health insurance is a very complex and very sensitive issue. We hope that the attached slides will contribute to better understanding the stakes. mPass: one more effort to reach 1000 card-holders! If the number of mPass card-holders crosses the threshold of 1000, the Verkéiersverbond will increase its discount from 20% to 30%. JSIS : What remedies for a sick scheme ? By a “Note setting a Legal Framework “, the Sickness Insurance Management Committee has identified three problems affecting this scheme: 1. Problems of access to health care; 2. Overpricing in relation to the rates applicable to national insured persons; 3. The obligation to contribute to a national health insurance scheme. 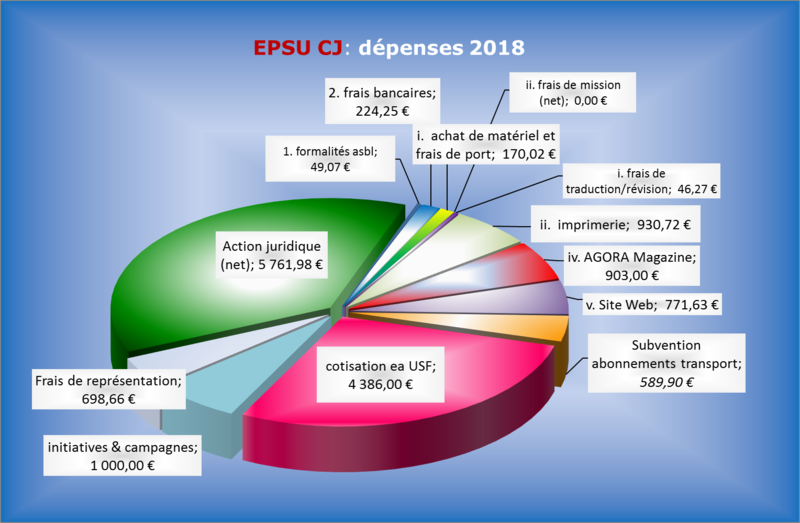 EPSU CJ comments on each of the three (in FR). We are currently in the 5th year since the 2014 Staff Regulations came into force and the implementing provisions enabling promotions to AD 13-14 and AST 10 posts have still not been adopted. It is urgent to do so. Read our flyer (in EN) and our letter to Admin (in FR).